Engadget has launched a new feature on their site called...er, feature hub. Anyway, it is sort of a mega page dedicated to certain tech supernovae. 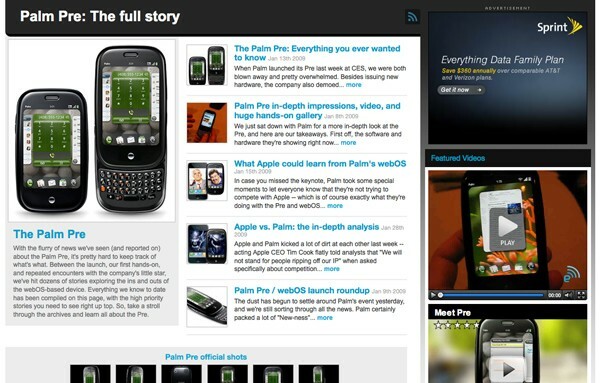 One of the first out is a "hub" dedicated to the coming Palm Pre. A great place to start for history and latest news on the Pre.